Debut album – “Land of Broken Hearts” came out in 1991 and sold 35 000 copies in Japan alone; soon it’s been out in USA (through Rondell Records), where it created a buzz through a net of college radio stations. An instrumental piece from the album – “Martial Arts” – was picked as a theme tune by Japanese Wrestling Federation and still is the best selling “sports single” in the country (passed 150 000 copies). Another tour followed bringing the band to Japan as well, where some unplugged performances created a demand for an “exclusive” release – “The Maxi Single” (1992), which contained 4 unplugged versions of songs from the debut album and two new tracks. The follow up album – “Clown in the Mirror” – recorded in Denmark and mixed at House Of Music, NY and mastered by legendary George Marino at Sterling, NY – were released in 1993 by the abovementioned labels and – selling beyond 60 000 units – brought the band on the road again, only this time including a two months tour across USA… besides Europe and Japan. Right after the tour the band’s got their first “hit”, releasing an EP containing 4 live tracks and a new song – “Far Away” (1995) – which went on top of Japanese rock charts and stayed there for a while, pushing the sells figures up to 70 000 units… a longer promo tour brought the band to the SE Asia and most of the Northern Europe. Next studio album – “Moving Target” (1995), recorded/mixed at Medley Studio (DK) with Lars Overgaard behind the desk – was the first one to be released world wide (Royal Hunt has finally inked the deal with Long Island Records in Europe) and paved the way to a 72-dates world tour, selling around 120 000 copies. Various rock publications throughout the world honoured Royal Hunt as “the best live band of the year” as well as “the best album of the year”. Next year saw the band releasing a double live album – “1996” – accompanied by a “8-cameras-shot-full length VHS” (the concert was filmed/recorded in a prestigious, sold out 5000 seater Gotanda U-port Hall, Japan)… a combination which is still regarded as one of the best live releases of the decade. 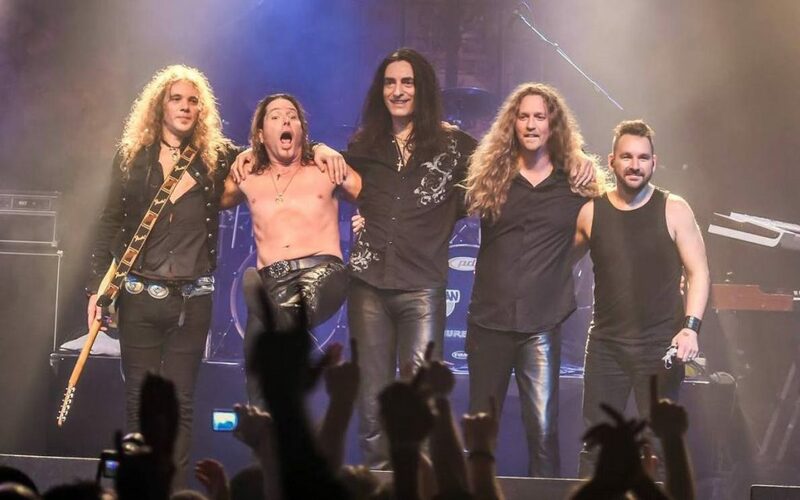 “Paradox” – the album which many fans (as well as the press) are considering to be a “classic” – came out in 1997 and propelled Royal Hunt to the top of numerous rock charts around the globe, followed by a 4 months non-stop tour and another “live CD/VHS” – “Closing the Chapter” (1998) – showing the band (through a 10 camera set-up) performing the entire “Paradox” with a huge stage production (completely sponsored by Martin Lights (DK). In 1999 the band released their next studio album – “Fear”, this time through SPV (Europe), Pony Canyon (Japan and SE Asia) and Magna Carta (USA). As usual the world tour followed, this time bringing the band to some new territories – Korea and Russia – and ending on the main stage of Germany`s Wacken Open Air festival in front of 55 000 people. Royal Hunt – again and again – rewarded with assorted awards for “best live performance”/”album of the year” from various media outlets. Ray Bradbury’s Martian Chronicles became a basis for a concept trilogy released in 2001: a single “Intervention”, a full length album “The Mission” and an EP “The Watchers” (claimed to be “the longest EP in history”, containing over 70 minutes of material). The following tour stretched over a period of 6 months, including a headliner slot at Pusan Open Air festival (attendance: 25 000, sold out) and Russia (where the band signed a separate record deal with AMG Records for Russia and CIS). Without missing a beat Royal Hunt releases their new studio album, “Eyewitness” in 2003 and – in order to regroup and to reinforce some of their business structures – decides to skip another major tour, concentrating on a few selected festivals (incl. FireFest (UK) and Italy’s “Gods of Rock”) as well as countless TV and radio appearances throughout the world. “Paper Blood” came out in the spring of 2005 and created a substantial stir among the fans and the press by it’s simplified, aggressive nature and was followed by not one, but two full blown tours; as a celebration of Royal Hunt’s first double live CD/VHS “1996”, the sold out show in St.Petersburg?s Music Hall (Russia) was captured by 7 cameras and released as a double CD/DVD package, simply named “2006”. The band re-recorded three of their previously released songs in an “unplugged” version – vocals, drums, bass and two acoustic guitars – yet in order to do this album even more “special” they wrote and recorded a completely new song – Save Me – full production and all. With a great artwork to match this release was a big “thank you” to all Royal Hunt fans for 20 years of uncompromised support. New album – “A Life To Die For” – is focused on the most symphonic and dramatic aspect of Royal Hunt. For the first time in the band?s history some orchestral and classical choir arrangements have been additionally recorded in order to accelerate this dramatic musical piece into epic proportions. “A Life To Die For” has been released by Frontiers Records on November 29th 2013 in Europe and December 3th in N. America, Marquee/Avalon on November 20th in Japan/SE Asia as a regular CD, limited-edition Digipack with bonus DVD and a gatefold vinyl. 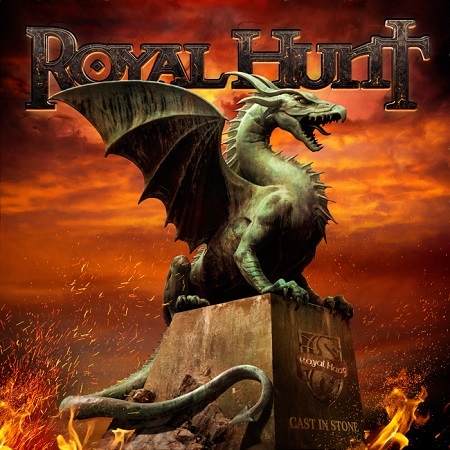 Royal Hunt´s 13th studio album – Devil´s Dozen – stays very true to the original, larger-than-life Royal Hunt sound: with imaginative instrumentation, intricate arrangements, soaring vocals and catchy, massive choruses. Yet the addition of classical musicians/instruments and contemporary, modern day production elements twist the outcome into a unique sonic palette. The band holds tight to the format which defined rock – an album chockfull of carefully crafted songs, recorded and mixed by a team of professionals who know how to combine crystal clear sonics with a weighty punch. Royal Rock… no substitutes!